We all like to think that bad breath is something we can avoid. Many of us turn to mints to keep a hint of freshness in the mouth. Some people chew gum to keep the mouth from getting dry and “dirty.” There are several strategies that are commonly used to avoid or manage odor. Perhaps the best thing one can do, though, is spending some time figuring out the origin of bad breath. Finding the source may mean tackling the breath problem for good. Spend two minutes with your toothbrush. Visit every tooth, every surface, the front and the back of the mouth. Bacteria can adhere to any surface of any tooth, and this requires attention to detail in brushing habits. Clean in between teeth. Bacteria can adhere to any surface of any tooth. Did we say that? It’s worth repeating. When flossing is not a daily habit, debris and bacteria will accumulate in between teeth. It doesn’t take long for this to create odor, as well as other problems. Clean the tongue. We usually talk about how bacteria and plaque affect the gums and the teeth. We don’t hear enough about how bacteria stick to the back of the tongue, too, depositing acidic byproduct that creates the odor. A tongue scraper is easy to use and takes only a few seconds to get to “hidden” bacteria. Add a layer of protection. To wrap up a good hygiene routine may include a rinse with an antibacterial mouthwash. Bad breath may require a little extra help. For instance, a deep cleaning may be necessary to remove bacteria from tiny pockets in between teeth and the gums. 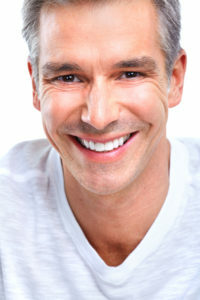 Men and women who wear dentures can benefit from periodic adjustments to their fixtures to prevent plaque buildup. We are here to support you in long-term oral health, and that includes having fresh breath. To schedule a visit with us, call 660-747-9117.